You’ve seen sneakers everywhere. They’ve jumped from street wear to high fashion in what feels like an instant. 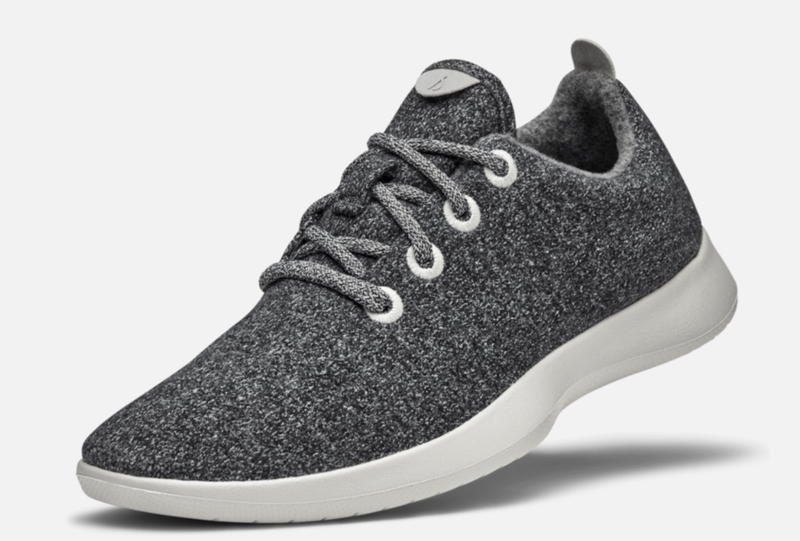 We are at the point where it’s socially acceptable to wear them with anything from a suit to a dress, but the most common way us ladies are rocking sneakers is via “Athleisure”. Thrilled doesn’t even describe how I feel about this! Before, sneakers were very limiting and hardly flattering. The majority were flat, too chunky or too flimsy. Now we have an array of options to pick from and we can wear them with anything we want. The question is how do we choose a sneaker that is flattering? It all starts with your leg shape. It's as simple as that. Women with athletic legs have every right to show them off. Sculpted legs are beautiful, but they tend to look harder, so the key is to soften them up! Go for a soft color or a more flexible, rounded sneaker with a little bit of height to engage those muscles. Cap off the look with a pair of fun leggings by Lululemon or Outdoor Voices, or some super stretch J Brand skinny jeans. When it comes to high tops choose a pair that accentuate your calves. Something simple, chic and smooth. Athletic Legs: For spring these would be fantastic with a James Perse jersey-knit skirt, white fitted t-shirt and a denim jacket. Athletic Legs: On a mild winter afternoon pair these with some Joe's dark denim fitted raw hem cropped jeans, chunky sweater, and a sleek midi length wool coat. Athletic Legs: Have fun with these high tops. Toss on some black opaque tights and an American Apparel fitted black mockneck dress, and a fun fur/patterned coat. Women with curvy legs have the toughest time pulling off sneakers because they make their feet look smaller in comparison to the rest of their bottom half. The solution is to find a sneaker that is either darker and blends with the majority of your pants/skirts, or a sneaker with a little more substance to balance out your fabulous curves. Avoid smaller flimsy sneakers that make your feet appear smaller. Go for a darker denim skinny that hugs your lovely curves. Pair with a darker sneaker to streamline your look, or a flatform to balance out your curves. Feel free to wear sneakers with bold patterns. Curvy Legs: These dark green flatforms would look amazing with SPANX leather leggings, a crisp white button down blouse, and a black blazer. Curvy Legs: Grab some SPANX high waisted black opaque tights, a denim pencil skirt, and a black v-neck sweater with the front tucked in...just a bit to show off that waistline. Curvy Legs: These black cropped skinnies, black turtleneck, and a neutral fur vest would look fab! Women with lean legs can pull off a flat, flexible sneaker. While not all of these women have a smaller (overall) frame, their legs make them appear thinner. These women can rock Converse more so than other leg shapes. Try to avoid super chunky sneakers as they will not look proportional against your legs. You can dabble in high tops because you have thinner shins; however, stick to simple. Your legs are likely your favorite feature, so don’t take away from them. Lean Legs: rag & bone Boyfriend jeans, a vintage t-shirt, and a shearling lined black leather jacket with these babies. You can't go wrong. Lean Legs: Corduroy skinnies, a sweater, a cozy hat and a Canada Goose puffy coat! Lean Legs: Pair these with some Hudson camo jeans, gray cozy cashmere sweater, and a camel wool coat.